Chris Stankus is the owner and InterNACHI Certified Inspector of South Jersey’s Stankus HomePro, Inc. Chris enjoys building and remodeling homes, and in his free time, you’ll likely find him tackling rehabilitating his next property. While Chris considers this a hobby that he loves, it also benefits his inspection clients since he’s always gaining new knowledge about homes and what it takes to restore them. Before becoming a licensed home inspector, Chris spent 10 years as a general contractor in residential and commercial construction. His involvement in all phases of construction and his understanding of the inspection process gave him a strong foundation and the critical skills needed to start his own inspection company. 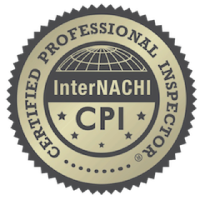 In 1989, Chris became certified by InterNACHI and the state of New Jersey and opened the doors to Stankus HomePro, Inc.
InterNACHI is the premier international association for residential and commercial inspectors, and its members follow a strict Codes of Ethics and Standards of Practice. In addition, Chris performs each inspection to meet the State of New Jersey’s Standards of Practice. You can count on Stankus HomePro to provide the most experienced, professional residential and commercial inspections in South Jersey. Choosing a home inspector is often a confusing and hard decision. I promise that I will treat your potential new home as if I were buying it myself. I want you to have peace of mind with your new purchase. I promise you will have a complete understanding of your home, and will be aware of any areas of concern I discover. I promise you will understand all components of your home and how they operate. I promise to answer any questions you may have, from the time of your inspection until you sell the home. I am always a phone call away.